I eventually want to supercharge my mustang, but I want to understand what I'll need before I decide to supercharge it. Every thread I've seen about supercharging mustangs always has like fifteen people chiming in and saying "you need to upgrade your engine internals" with no specific detail. What internals would I need to upgrade? Fuel pump, fuel injectors, intercooler, intercooler tubing (of course), new spark plugs? Am I missing anything? I'm trying to see how much this is going to cost me. So far, a kit is gonna run me as much as my car is worth lol. There's no other advice I could give you other than "it depends". If you were to give us a psi number, then that would help a lot; but since you didnt, I'm gonna just explain possibly what you may upgrade and what it'd do. So obviously, you're going to need a supercharger kit no matter what psi you're going after. Roots, twin-screw, and centrifugal are all different; explaining the pros and cons of each could take another thread and would probably start a whole debate on controversal topics; so all I can say is "google it". They're all different and they all tailor to different needs. Second, if you're going for high boost, (above 7psi would be in the "higher" region), then chances are you're going to need new fuel injectors. The simple reason; superchargers cram more air into the intake manifold, and the more dense the air is, the more fuel is needed to burn all that density; unfortunately, the factory injectors are only really good up to a certain point, so upgrading them is important else you'll run "lean" when you go past your injector's capabilities, which can cause valve-burn, white exhaust smoke, overheating, and a whole sleuth of problems. Third, and again, if you're going for higher boost (this time above about 11 psi), then you'll need to upgrade the internals. Mustang engines are usually built pretty ruggedly, and I could give you more info on what psi would be a good time to upgrade and all that, but you never mentioned any engine numbers, trims, years-- heck, you havent even given us a generation. Anyway; the simple reason as to WHY you need stronger internals would be because more air in the cylinder during ignition = a bigger explosion. Obviously, the bigger the explosion, the more rugged your internals have to be to withstand the explosion. Failure to upgrade the internals can result in anything from blown head gaskets, blown heads, blown pistons, blown compression rings, blow valves... Really just blown anything. The "internals" you'd need to upgrade would be; pistons, piston rings, gaskets, blocks, heads, compression sleeves, and valves. They all come directly into contact with the explosion. Spark plug probably wouldnt need to be even touched. You can if you like; but it isnt needed. Intercooler is obvious as to why you need it. Cools down engine, cools down intake air; just a smart idea to get it. Though really, if you're not planning to go for high boost, then you could be just fine with JUST the supercharger kit. Theres lots of people who buy a cheap centrifugal, boost 4 psi, change their ignition timing, and then call it a day. Give us some more info so we can tailor to your needs. Don't put forced induction on that mustang yet. You don't need more HP, you need a good suspension setup, good wheels and tires, and some seat time. I know you want to, but realistically, it's not a good choice. The engine is gonna let go at some point in it's life and FI on stock internals is just gonna shorten that time. Save FI for a project car that isn't a daily driver, unless you get something with factory FI like a Shelby or a Roush, in which case you have the cash to throw around anyways. First car, new driver, wants some track time now and then... FI is NOT a good idea. You would need to upgrade things like injectors, possibly the fuel pump, it would need to be re-tuned for FI. You would probably need higher flow fuel rails as well and need to run higher octane gas. If you want to push a lot of PSI, you are gonna need forged internals. This means new pistons, rods, possibly a new block and more. All this on top of the cost to get the supercharger. Wouldn't be cheaper to buy a car with more power? If at some point in the future you feel you are fully ready for more power, you will find that it is much, much less difficult to purchase a used supercharger kit than piecing together parts. You will need to have the car custom dyno tuned as well. It may be helpful for you to check out your local yellow pages and give a nearby tuner shop a call. Ask them the same things you are asking here, and ask about the typical cars they tune. I tried to piece together a centrifugal kit for my LTC and ended up selling it all. Too much hassle for me. lol don't give ricers any ideas! 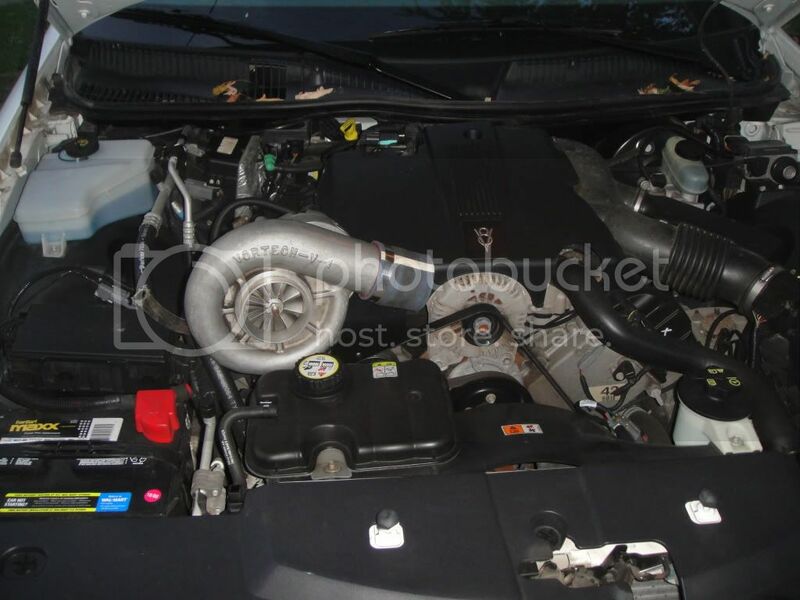 Hellion turbo systems would be worth a look for you!